The La Mesa Library is part of the San Diego County Library system. The City of La Mesa owns the land and the building that the library occupies, while the County of San Diego operates the library. This cooperative relationship between the City and the County has served the community well over the years by drawing on resources from both public agencies. The County of San Diego budgets for a basic level of staffing and service to all of the libraries in its system. In addition, the County often has matching funds that can match, dollar for dollar, any locally generated financial contributions for additional materials or supplies. The La Mesa library is one of the most active branches in the 33 branch County library system. 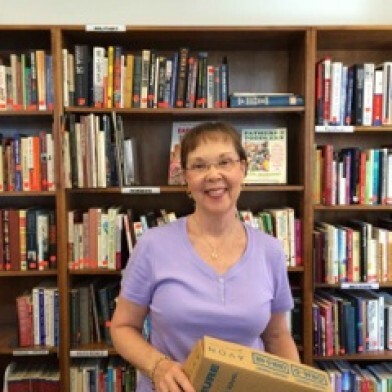 The funds raised by the Friends of the La Mesa Library go a long way toward providing the materials that patrons of the La Mesa library have long enjoyed. Thank you for visiting our website. The following are topics we think you should know as we start the new year. Isn’t it nifty, the Friends are FIFTY! 2019 marks the 50th anniversary of the forming of the Friends of the La Mesa Library. We are planning a celebration on Saturday, March 9th , in conjunction with the Second Saturday Concert series so mark your calendars for that day. We will have other events throughout the year to commemorate this milestone. If you would like to help organize or participate in such activities, please contact us. Last summer, two new officers - Robin Theilmann and Jonathan Lange - were elected to the Friends’ Board. In December we added Bonnie Baranoff as Publicity Chair. Bonnie and the rest of the Board are looking for ways to improve getting information about the library out to the community. Two ideas involve some adjustments to this website and expanding our presence through social media. Thanks to the efforts of Robin Theilmann and our team of dedicated volunteers, the Bookstore maintains a fresh look and remains the primary source of revenue for the Friends. If you would like to help with the Bookstore, please contact Robin. In addition to selling books, we can use help sorting through donations, researching and pricing books, organizing displays, and selling books online. And if the new year has you looking for someplace to donate your gently-used books, bring them to the library and give them to a library staff member. They will put them where our donations are initially kept. Donation storage space is limited so we ask that you only bring one small- to medium-sized box or two bags of books at a time. Please do not leave books in the lobby outside the Bookstore. Did you know that the La Mesa Library is the 5th busiest by volume of the thirty-three branches in the San Diego County Library System? Over 737,000 books, movies and CDs are checked out each year. That is a 60% increase in volume since the existing library building opened ten years ago. The La Mesa Library also offers 980+ programs to over 20,000 attendees yearly, which is a 112% increase over that same ten-year period. Over 272,000 people visit our library annually, which averages over 740 per day. Each year the Friends help fund many library programs for children, teens and adults. For example, there are 24 children’s story time programs each month that promote literacy skills to over 800 young attendees and their families. Weekly programs for teens include the Service Learner program that teaches job skills. Adult programs and activities include the Silver Sneakers Yoga and various club meetings. While many of these programs are scheduled and supported by the library system, the Friends’ contributions make them better. The Second Saturday Concert series is in its second season and will continue until June. There will be a break during the summer to accommodate the many programs and activities in the library. The Friends and library staff are constantly seeking wider ranges of styles. Contact us if you or someone you know would like to perform. As seen in the highlights section above, our library is extremely popular in our community. But it is only #17 in the County Library System by square footage. Contemporary library standards suggest that the 60,000 residents of La Mesa should have a 20-25,000 square-foot library. The Friends continue to encourage the City of La Mesa to find additional space for our library as part of any Civic Center improvements. Whether that would result in a new larger library building or additional space adjacent to the existing library building remains to be seen. Should either option be selected, the Friends will likely be asked to do significant fundraising to adequately equip and furnish a larger library. If you would like to be an ambassador for La Mesa’s Community Library and help with advocacy or fundraising efforts, please contact us. 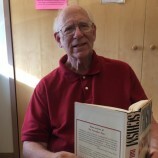 Who are the Friends of the La Mesa Library? You may join the Friends of the La Mesa Library by paying an annual tax-deductible membership fee. Please see the membership form included on this site. 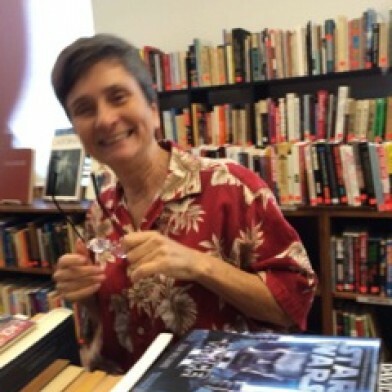 The Friends of the La Mesa Library raises the majority of its money from used book sales. Our bookstore is conveniently located just inside the library's front entrance, and is open daily from 1 to 4 PM. Our continued success depends on two things: your donation of new or gently used books, and volunteers to staff and run the bookstore. lf you think you might like to help with our bookstore, please indicate so when you join or renew your membership. All volunteers working in the bookstore and/or the library are required to go through a formal background check by the County.